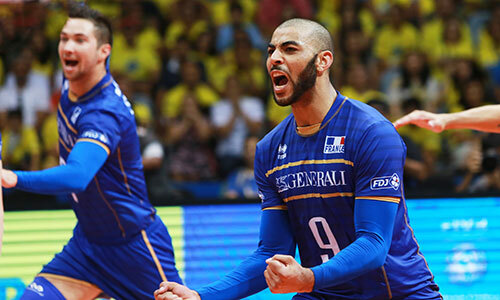 Many times I heard a question – How can I become professional volleyball player? I have an answer for you! Here are the steps you need to know. I played in many leagues and countries. During my volleyball career I’ve learnt a huge amount about what it takes, so if you are thinking about becoming a professional volleyball player, read this! 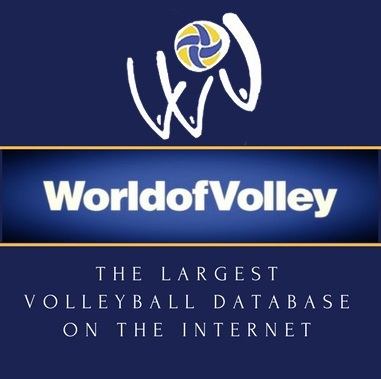 If you want to become a professional volleyball player for the money or fame. You need to have the sort of drive and passion where playing at a top level matters more to you than getting paid top money. To have the sort of grit and determination to get through all the stresses, downs and pressures of playing professionally, you need to have a true love for the game or you’ll just end up being very unhappy. Recent studies have found that the key to success in any field is practicing a specific task for a total of around 10,000 hours. Therefore, a player must train and/or play volleyball for at least 10,000 hours before reaching ‘world class’ status. That’s around 3 hours a day, 20 hours a week for 10 years. Training smart is as equally important, if not more important than training hard. In team trainings, you follow what the coach wants the team to do, but not what you need to train as an individual player. Each player has their own unique set of skills, which is why it’s extremely important to train on your own or with small groups, so you can improve your specific weaknesses and make your strengths, second nature. Coaches saying you’re not good enough, making mistakes and players yelling and screaming at you. This is an everyday occurrence in volleyball and you must have a deep belief to get you through all the negativity you’ll encounter. That belief has to come from somewhere. I belief in the formula that belief + hard work (and smart work) + persistence = success. To become a professional volleyball player, you need to the sort of belief where you believe you can move mountains. A promo video of yourself these days in the modern age of high-speed internet and YouTube is essential to getting as much interest as possible. If you have a good video that makes it easy for people to assess your skills, it’s easier to get opportunities with teams. Get family or friends to film you training and playing and make sure the video quality is excellent. Just like applying for a job, a volleyball CV should be able to explain to a coach – or club, agent… – all about who you are as a player, in less than a minute. Include a player photo, height/weight, positions, experience, links to articles you’ve been featured in and statistics. More information on creating a good CV can be found here. – Email and contact through Facebook as many clubs as you can, but don’t expect replies (you may need to email 50 or more clubs before receiving a reply!). – Consider getting a volleyball agent, however many agents can be very deceiving, so be careful. – Some players have famously been accepted into teams, just by showing up to a practice session with their boots and asking if they could train with them. It’s easy to only think of getting to the next level, instead of focusing on your performances in matches. Take your volleyball career game-by-game. Every game you play, focus on playing well and giving 110% as you never know who could be watching. Make sure you build good relationships with your teammates, coaches and club staff as having their off-field support will contribute to good on-field performances. Tip: If you have a bad game, don’t get down about it. Write a list of things you can improve, and train to improve them. I knew it was going to be difficult, but trying to become a professional player was very tough. That’s because becoming a professional volleyball player doesn’t happen overnight. It doesn’t take months either. It takes years and a lifetime of dedication. When you hear people say that success takes ‘blood, sweat, tears’, they’re totally right. It takes time and patience. Sometimes you have to wait for the right opportunity. Sometimes it takes just a bit of luck to swing your direction, but being persistent and having the ability to never give up will determine whether you’re successful or not. Step 10: Sign a Contract! The final step in realizing your professional dreams is signing a pro contract with a club. Contracts should be carefully looked over in detail first, and if it’s your first contract, get it looked over by someone with experience in the area. Be careful when dealing with agents and take careful note of training compensation and player ownership issues. I believe these advices will help you in realizing your volleyball dreams. Special thanks to Fieldoo for inspiration.